Next post: Bunny Babies and other Easter additions…. 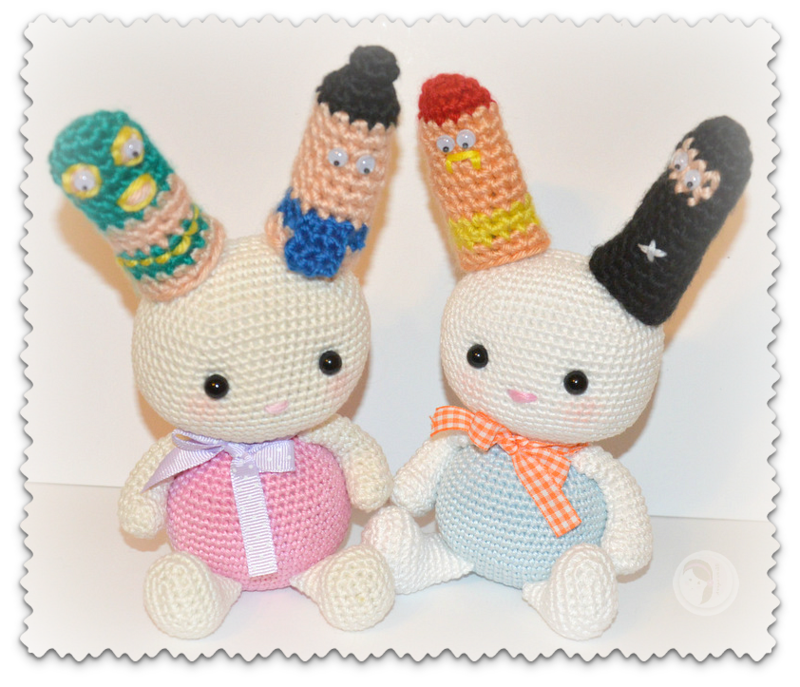 Thank you so much for sharing the thumb wrestlers with your friends here at AmigurumiBB! You rock! And I’m over-the-moon excited that you are enjoying them. I love how you used the bunnies to model them. So clever and cute! I look forward to seeing their pattern. They are adorable.